Getting the proper feedback in the way, you’re running your business is essential in order to grow. Without knowing which of your strategies are working and which of them aren’t, there’s no way for you to be able to tell which area of your business you should focus on. So how can you tell? Before the days of the internet, you would have had to spend hours at a time poring over your sales data, analyzing trends and restructuring your marking accordingly. But that takes a lot of time, and let’s face it, takes you away from performing other essential business-related tasks. Luckily, everything you need in order to analyze how the market is responding to your brand is conveniently available at the touch of a button. In fact, you already have an audience for which you can test your different marketing strategies on, and you can monitor the feedback in real time. Your social media marketing plan should be your main focus, and there are many reasons why. Here’s our guide on why you should put more effort into marketing on social media and what you can gain from it. Your business success is going to be heavily dependent on how well you can connect with your audience. By using social media to gather the data about how users interact with your brand, you are mining a literal gold mine. For instance, you can use Facebook analytics to find out the demographics of the market that is most responsive to your product posts and then use that information to connect better with them. If you are finding that you can’t generate much interest in certain areas, you can also choose to discontinue advertising campaigns that just aren’t doing anything for you. Or another option is to boost the interest in your posts artificially. Rather than discontinue posts that aren’t gaining any traction, you can purchase likes and comments to help give you the momentum you need. For instance, Social Media Daily allows you to buy comments on Instagram. Once you get the ball rolling, the marketing will almost do itself. It’s just not the case anymore that products and services are marketed in specific countries due to restrictions in distribution costs and marketing budgets. The internet and social media, in particular, have completely turned that around, for us. The audiences we can potentially reach now span the entire globe – literally anywhere the internet is available. Twitter is a great platform to connect with new audiences. For instance, by using hashtags, you can either find what people are already talking about and tap into that, or you can generate your own catchy, new hashtag so that you can build a new following. It’s easy to cross-promote using other similar businesses simply by retweeting and mentioning them. A business is only as good as their customer service department. This is the main customer-facing the role, aside from sales, that will really leave an impression on your customer base. If something goes wrong with the product or service you’re selling to people, then you’re going to want to have a dedicated method of resolving the issue. In this age of social media, customers are turning more and more toward the social media accounts of major businesses in order to air their grievances. This isn’t a bad thing; in fact, the more transparency in your customer service interactions, the better, it will be for your business. Learn to embrace customer issues online. You’ll build a reputation for having an honest, reliable online business. Investing your time and effort into building your brand on social media isn’t all about creating a market. Once you’ve started to become established, you can use social media to show the human side of your business. All you have to do is use social media the way you would personally – by having conversations between your employees or even engage directly in conversations with your potential customers. You never know just how many of these users will be converted into sales at some point down the track. You’ve probably noticed a theme in the previous points – That by using social media to interact publicly with your market audience and between employees of your business, you are creating the kind of human company that people are looking to deal with these days. By encouraging this to occur across all aspects of your online business, what you’re actually managing to do is build up your brand awareness. How many companies are you more familiar with now because of a social media interaction they’ve had? Think about Wendy’s and how they throw shade at other fast-food companies on Twitter – this is a perfect way to get people talking and gain publicity. Think about using strategies like this to really establish your brand and make people talk about it. Once you’ve established yourself as a hot new player across social media, you can utilize this to expand your professional network. Social media is a treasure trove of business-related contacts, and it’s all there at the click of a button. Never has run a business been as simple as it is today. 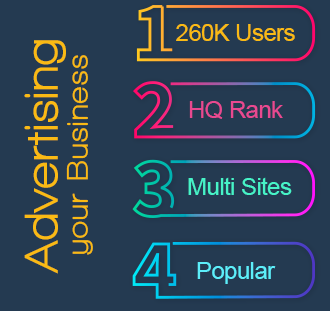 You will be able to perform all aspects of running your business within the network of your industry online, and most of it can be done using social media. LinkedIn, for example, is especially important, as this might be the main way you can gain new employees. There’s really no limit to the benefits to be gained by using social media as your main marketing vehicle for your online business. In fact, to ignore social media altogether would be disastrous, as this is likely where your target market is. By spending the time to really cultivate your business contacts and market your brand online, you are putting your best foot forward to succeed in your endeavor.